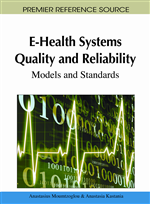 The following chapter addresses the logic, principles and functionality of health and health care systems to present a framework prerequisite for revealing, understanding and implementing appropriate and adequate management interventions leading to qualitative improvement in the specified areas. Although many parts of the word have witnessed in the last decades exponential growth in the area of technologies, surprisingly enough this growth does not reflect a similar growth in the perceived quality of life or well-being. Oddly enough pure technological growth does not produce happiness or joy. To a certain degree a similar situation, quite naturally as healthcare is a part of the real world, projects into the healthcare environment. Although many societies and many healthcare systems could potentially benefit from vast medical technological advancements, this alone does not assure high quality, safe, patient centered and humane care expected from the healthcare systems and the healthcare profession. Although there is always a risk in generalization, certain common principles from my point of view exist and if properly understood and applied could, as I would like to demonstrate, prime and initiate ways of improving the present state. Our society, roughly from the year 1990, calls itself, the ‘Information Society’. Although information is a valuable asset (an in health care environment we have plenty), alone it is useless as it allows only very basic decision making. Knowledge possession is a bit better, but knowledge is based on proper interpretation and understanding of the relations between the data / information subsets (this represents a complex issue, not only in healthcare, where typically many factors influence the interpretation of these relations). The variables we handle in the healthcare environment are at least as complex as those in the monetary sector, where the numbers handled represent one well defined and generally understood entity – money. Effects of misinterpretation of relations in the monetary sector are well felt world over in 2009. The healthcare sector is no better off (Kohn et. al., 2000). Piecemeal, incremental approaches to healthcare change, sometimes with more results and unintended consequences. A struggle to seek a viable balance in public and private health care spending. An increasing portion of health related financial responsibility transfers to individual citizens. The emergence of new and nontraditional local and global competitors and collaborators in care delivery to meet changing stakeholder needs. Proliferation of health promotion and care delivery models and capabilities. All stated may sound threatening; the truth may actually be even more alarming. At last, the health care professionals may be gaining some insight into reasons evoking uneasy feelings and distrust on the side of the patient community. In many areas, our knowledge of what (to do) is limited, but we are generally even worse off on the level of knowing how (to do it). Majority would agree that the most valuable part of a company or individual lies in its/his ‘know-how’. This know-how may well be the under-performing part of the health care system. If there is a challenge i.e. needed improvement of know-how of the health care environment (quality, efficiency, efficacy, safety, timeliness, patient centeredness…), there must be solutions. If our way of thinking created most of these challenges (sometimes politically incorrectly referred to as problems), then the same way of thinking, doing and attitudes have a low potential to provide solutions to these issues. I am convinced, that the appropriate approach lies not in the knowledge of explicit facts, but in the understanding (and acceptance) of the following basic postulates, I have found independent on cultures to which the respective healthcare systems belong to. Only adequate understanding and proper definitions allow the use of all available tools, resources and processes (including those depending on the use of ICT) in the most efficient way, maximizing the benefits, understanding limitations and avoiding unnecessary risks.